There are few visionnary poets in our time, who learned to contemplate the world with the ’’eyes of heart’’ and Hollywood star, award-winning poet and linguist Hélène Cardona is a brilliant representative of them. A follower of some giants of poetry and thinking, like Blake or Rilke, she seeks the patterns of the invisible world, the old archetypes situated beyond time. This is a vision close to my art concept of archetypal expressionism, the quest for common cultural roots beyond the tragic accidents of history. 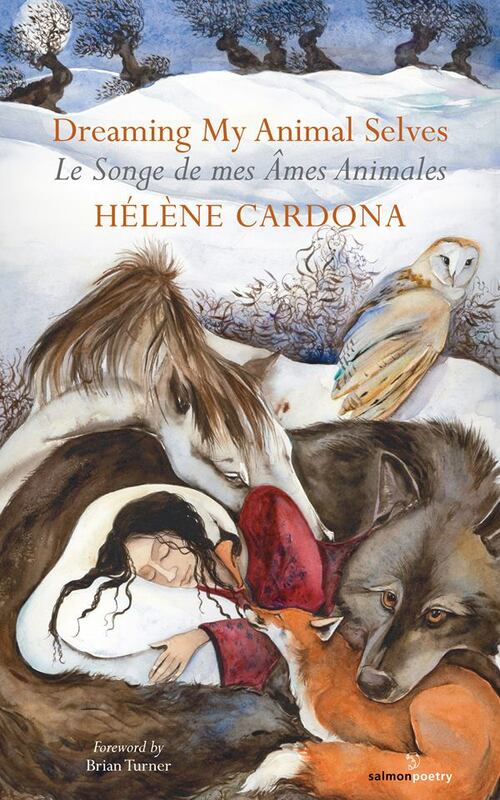 Hélène Cardona’s atemporal poetry is rich in meanings, vivid and very expressive; every poem has the architecture of a secret temple and to build it in ’’a language older than time’’ you need rigor and mystery, arithmetic and lyricism, simplicity and paradox. Dream, light and music seem to be the primary laws to put together such a unique poetic universe, in which ’’all is light and legend’’, a true copy of our innner world. To explore the inner universe was also a major task for Blake and Rilke, in order to look for the secret geometry of our spirituality. Like her masters, Hélène Cardona is convinced that all creative process begins with a dream, a spiritual insight, a true big-bang of creation and ends in the mystery of time: ’’The dream opens forgotten realms of creation/I think that’s what time is.’’ Time as an essence of creation is also a key to Bergson’s philosophy and I’m sure that Hélène loves his work. I wonder if a contemporary American poet could write such visionary poetry. This could be a spiritual herritage of Old Europe and we know that Hélène Cardona has a Greek mother and a Spanish father. America and Europe have a specific relationship with time and space, maybe Old Europe is a civilization of temporal senses, marked by the impalpable, the immaterial, the unstable, by the inwardness of metaphysics and America belongs to a civilization of spatial senses, with the stress on wholeness, matter, equilibrium, outward and pragmatism. Time means succession, and space is characterized by simultaneity. One might say American people have the genius of space (virtual reality, without temporal dimension, which is apparent in the USA) and European people the genius of time. ’’….discover that in dreaming/lies the healing of earth,’’ writes the poet. She seems to say that “Dreaming will save the world” as once Fyodor Dostoyevsky asserted that “Beauty will save the world.” Hélène Cardona’s illuminating words longing for crystalline temples, fairy tales, ambrosia, mythological birds, lilac sonatas, sirens, figures from Greek mythology, magic flutes, myriad books, metamorphic frontiers, are in their essence a ’’fairy dance/poetic memory/alive’’. Hélène is a poet, actress, linguist, literary translator & producer, author of Dreaming My Animal Selves (Salmon Poetry, 2013), winner of the Pinnacle Book Award and 2014 Readers’ Favorite Award, The Astonished Universe (Red Hen Press, 2006), Life in Suspension (Salmon Poetry, 2016), Ce que nous portons (Éditions du Cygne, 2014), her translation of What We Carry by Dorianne Laux, and Beyond Elsewhere, her translation of Gabriel Arnou-Laujeac. 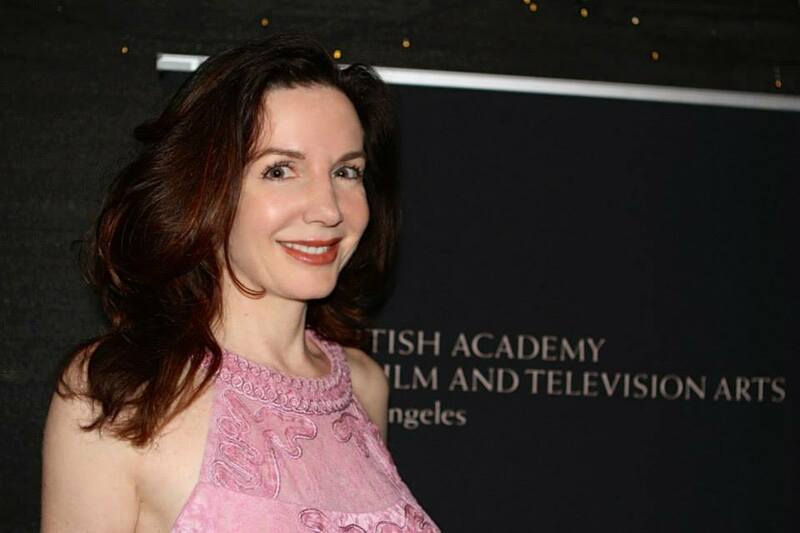 She co-wrote the screenplay Primate with John FitzGerald, based on his novel, holds a Master’s in American Literature from the Sorbonne, and taught at Hamilton College & LMU. Hélène received the Poiesis Award of Honor and fellowships from the Goethe-Institut and Universidad Internacional de Andalucía. She is Chief Executive Editor of Dublin Poetry Review and Levure Littéraire, and Managing Editor Fulcrum. Publications include Washington Square, World Literature Today, Poetry International, The Warwick Review, Irish Literary Times, & many more. 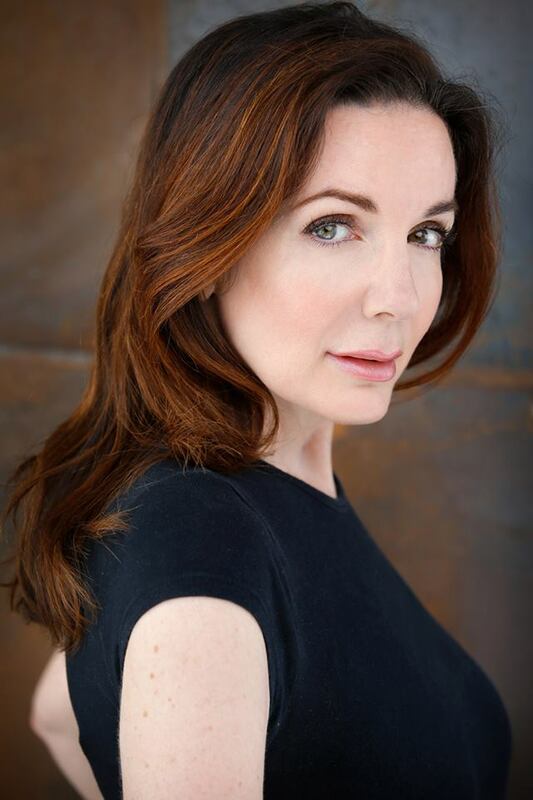 She played Françoise “Fuffi” in Lasse Hallström’s Chocolat, Candy in Lawrence Kasdan’s Mumford, the French Food Critic in The Hundred-Foot Journey, a BBC Reporter in Dawn of the Planet of the Apes and World War Z, the French Announcer in Jurassic World, roles in Law & Order, Chuck, Nikita, & more. Among her many voice credits are Happy Feet Two, The Muppets, Muppets Most Wanted etc. For Serendipity, she co-wrote with director Peter Chelsom & composer Alan Silvestri the song Lucienne, which she also sang. Producing credits include the award-winning documentary Femme: Women Healing the World and Pablo Neruda: The Poet’s Calling. She speaks six languages: French, Spanish, German, Italian, Greek & English, and has lived in Paris, Switzerland, England, Wales, Monaco, Germany, Spain, New York City and Santa Monica, and travels extensively. Hélène Cardona – wearing Sue Wong – necklace by Vilaiwan, at Sue Wong’s FAIRIES AND ANGELS Fashion Show. This entry was posted in Literature and tagged Blake, Chocolat, Dawn of the Planet, Dreaming My Animal Selves, helene cardona, Hollywood stars, levure litteraire, Lucienne, Mumford, Primate, Rilke, Sue Wong. Bookmark the permalink.